Chicken flavored dog treats. 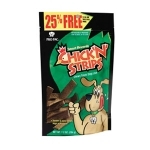 Dogs will go wild for Chick-n-strips! The deliciously satisfying taste of chicken is sealed in every mouth-watering bite of Pro Pac Chick-n-strips. Your dogs senses will go wild when you open the bag and treat him to Chick-n-strips. Chicken flavored dog treats. 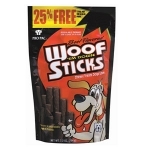 Dogs will go wild for Chick-n-sticks! The deliciously satisfying taste of chicken is sealed in every mouth-watering bite of Pro Pac Chick-n-sticks. 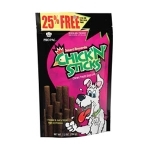 Your dogs senses will go wild when you open the bag and treat him to Chick-n-sticks. Dogs will go wild for Pro Pac Jerky Strips! 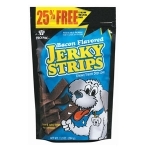 Thats because the savory flavor of real bacon is sealed in every lip smackin bit of Jerky Strips. Meat flavored dog treats. The meaty flavor of beef is sealed in every mouth-watering bite. Chicken flavored dog treats. Dogs will go wild for Chick-n-chunx! The deliciously satisfying taste of chicken is sealed in every mouth-watering bite of Pro Pac Chick-n-chunx. 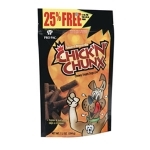 Your dogs senses will go wild when you open the bag and treat him to Chick-n-chunx. 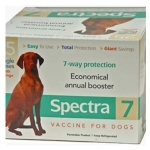 A modified live vaccine combined with inactivated Leptospira canicola and Leptospira Icterohaemorrhagiae bacterin for vaccination of healthy dogs 6 weeks of age or older. Inject 1 ml SQ or IM, repeat at 2-4 week intervals until 18 weeks of age. Do not use on pregnant dogs. Single dose pack comes with syringe. 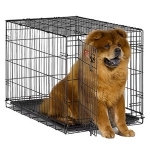 48 x 30 x 33 Single Door I-Crate - Ideal for large breeds. Easily sets up & down to portable size. No tools required, durable, satin black electro-coat finish safe and secure slide-bolt latches tough, easy to clean plastic pan. 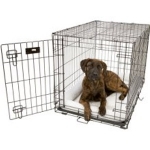 42" X 28" X 30" Single Door I-Crate - Easily sets up & down to portable size. No tools required, durable, satin black electro-coat finish safe and secure slide-bolt latches tough, easy to clean plastic pan. 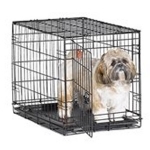 36"L x 23"W x 25"H Single door, light duty, folding dog crate. No tools required. 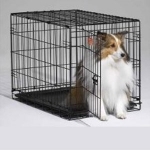 Cuts housebreaking time in half by keeping puppy from eliminating in one end and sleeping in the other. 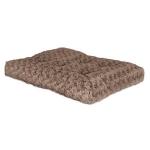 Allows you to adjust the length of the living area as your puppy grows into its adult size home. 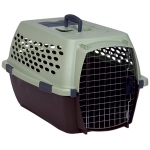 30" X 19" X 21" Easily sets up & down to portable size. No tools required, durable, satin black electro-coat finish safe and secure slide-bolt latches tough, easy to clean plastic pan. 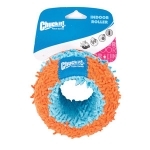 Easily sets up & down to portable size. No tools required, durable, satin black electro-coat finish safe and secure slide-bolt latches tough, easy to clean plastic pan. 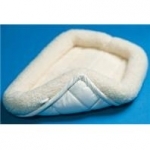 22" x 13" x 16" Easily sets up & down to portable size. No tools required, durable, satin black electro-coat finish safe and secure slide-bolt latches tough, easy to clean plastic pan. 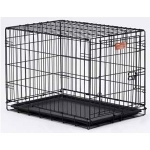 Single door, light duty, folding dog crate. 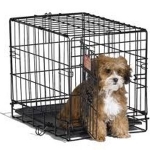 Cuts housebreaking time in half by keeping puppy from eliminating in one end and sleeping in the other. 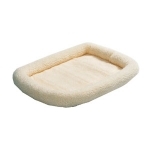 Allows you to adjust the length of the living area as your puppy grows into its adult size home.